Hibiscus flowers and Hawaii are nearly synonymous–from bumper stickers to designs and patterns to tattoos, many of us think Hawaii when we see the hibiscus’ distinct form. 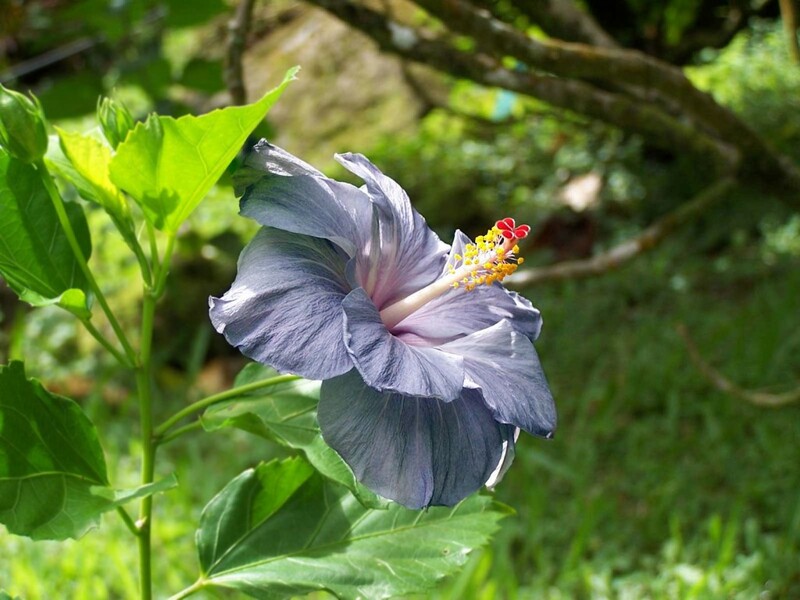 Starting in the 1920’s, hibiscus were set as the state flower of Hawaii. In the late 1980’s, the state flower selection was refined specifically to the Hawaiian native yellow hibiscus. This purple hibiscus, with it’s yellow stamens and stunning red stigmas, was captured on the Big Island’s Hawaii Tropical Botanical Garden in Papaikou, near Hilo.